In that conference they have arranged a speaking slot for us and we have done a small presentation in which we have shown what we have done so far on Branchless Banking. I will try to summarize here what we have presented in that conference. The slides can be found as follows whereby I have tried to explain what we have tried to show. 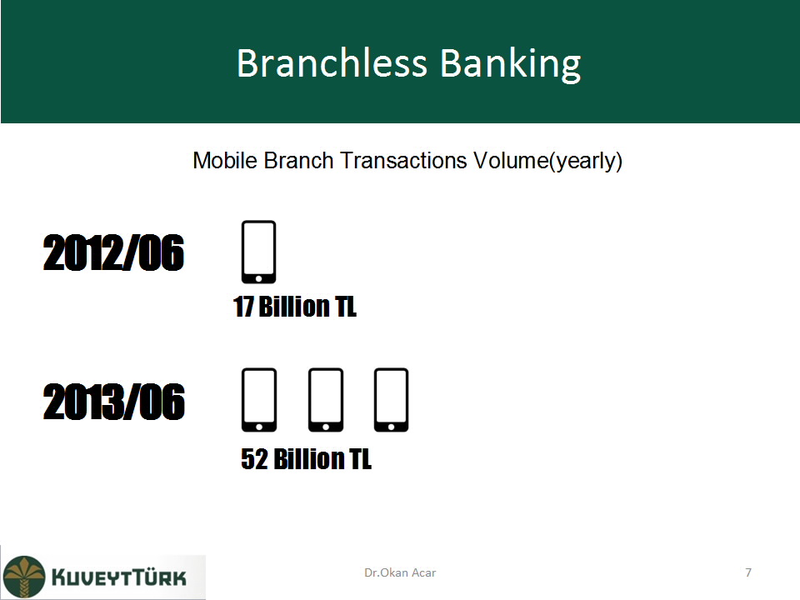 However there are 26 banks which have internet branch and 16 banks which have mobile branch. 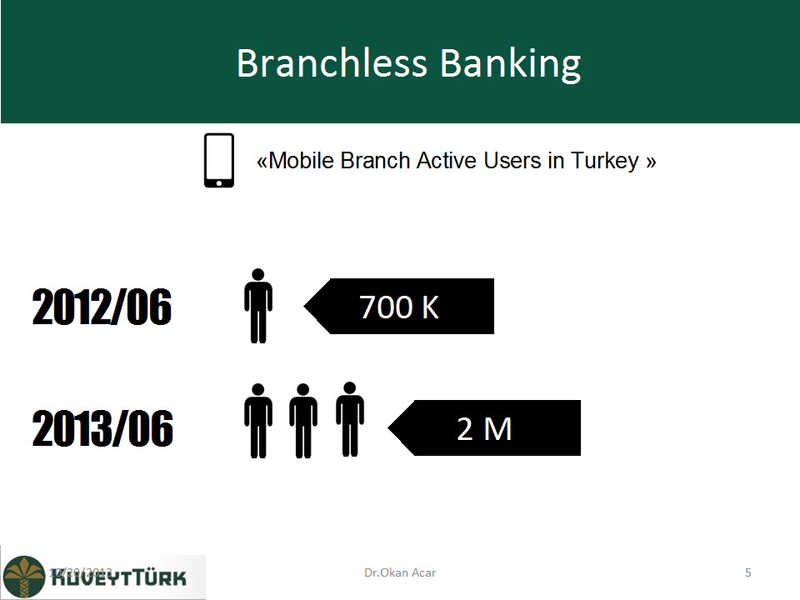 "Active users" are the number of users which were reported by each bank in Turkey subject to each login of customers. The same scenerio has happened on the volume of transactions through these channels. The volumes have been estimated through 1 year transaction time period until the reporting date. I have not put all the slides here since the information about the sector can be summarized as above. 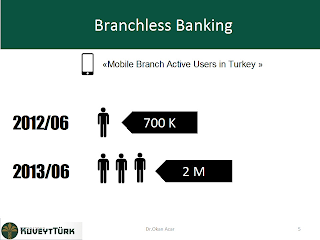 To sum up, the mobile banking has been emerging in Turkey very very rapidly. There will be no banks in a very close future which has not made any investment on mobile banking. Furthermore, they will not be satisfied with only one mobile banking application but they will prepare different apps to gain more customers.